The Gutenberg Bible Leaf in the McCune Collection is a page from the Old Testament. 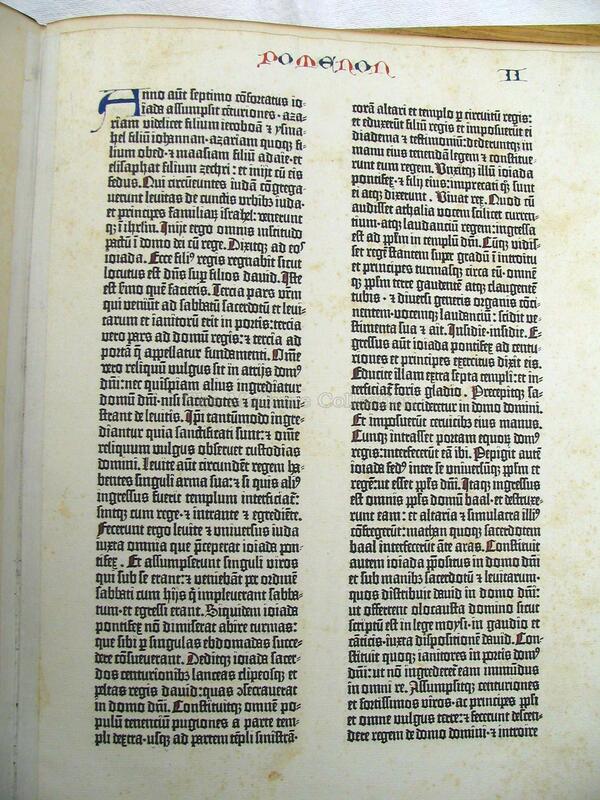 It was produced in Mainz, Germany by Johannes Gutenberg between 1450-1455. 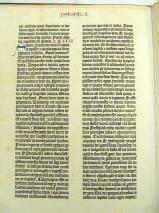 The Gutenberg Bible was the first book printed with movable type in Europe and the start of the mass production of books. 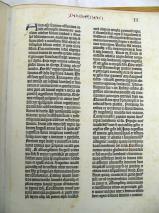 The page contains two columns of 42 lines. 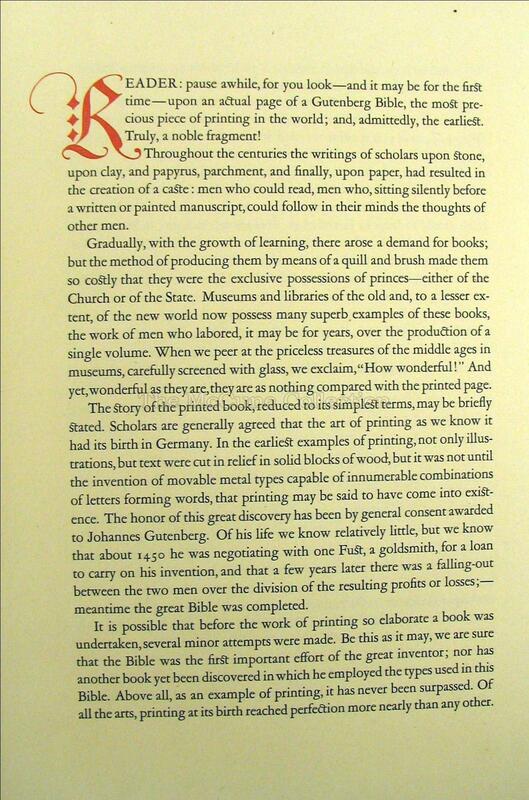 The type is set in a style that mimics the handwriting of medieval scribes. 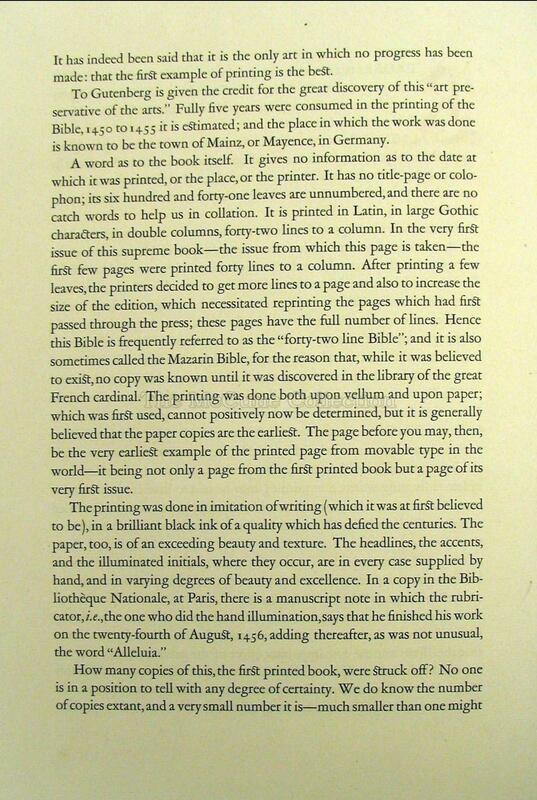 Note the drop capital (large initial letter “A” that starts the page). 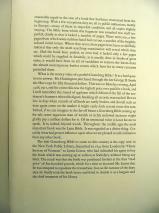 It is colored blue (in contrast to the black text) and is significantly larger than the continuing text which is indented. 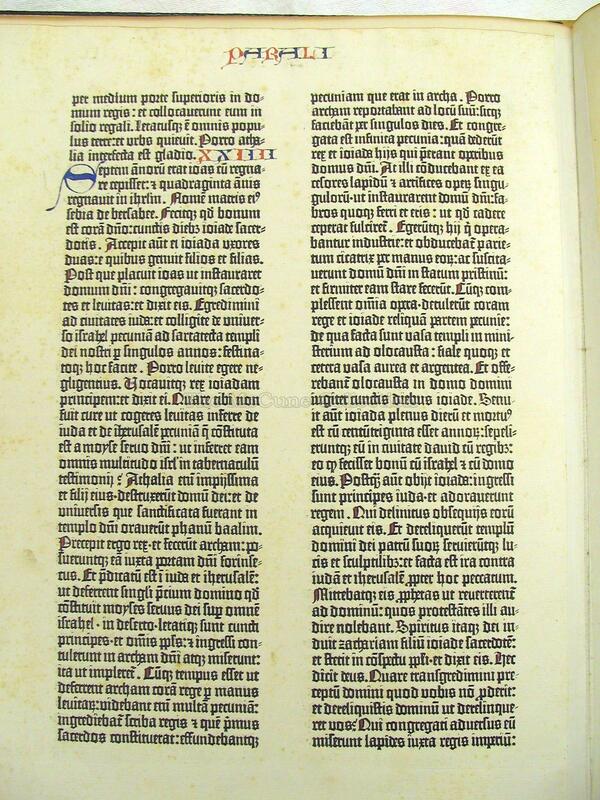 This was a common technique used in medieval manuscripts. 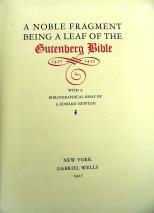 This leaf was part of the “Noble Fragment” issued by a New York dealer, Gabriel Wells, in 1921. 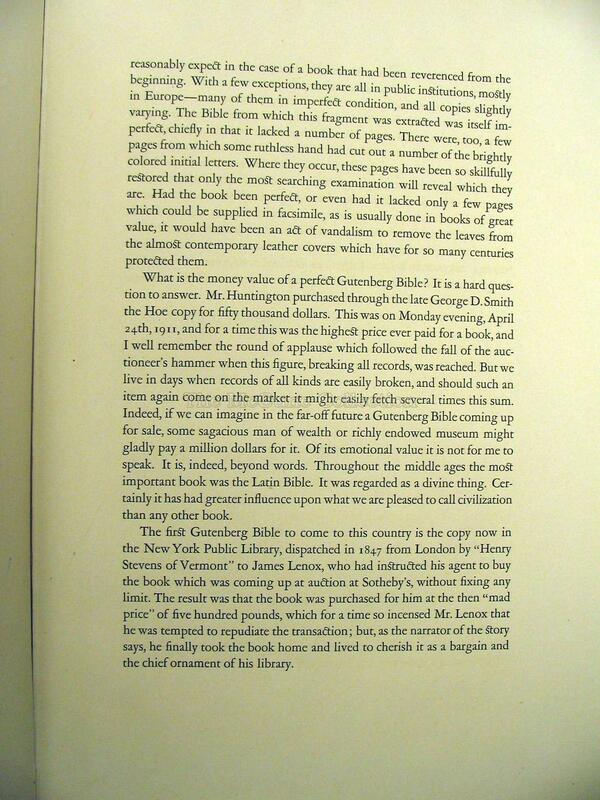 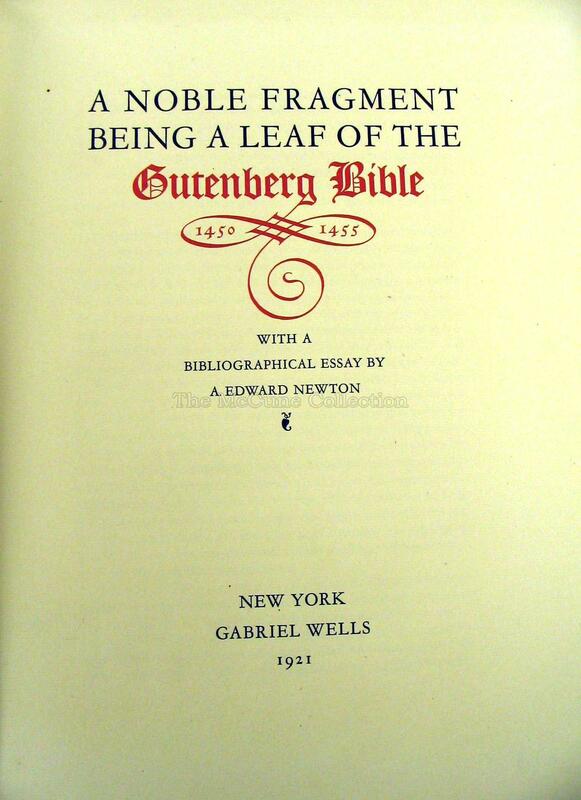 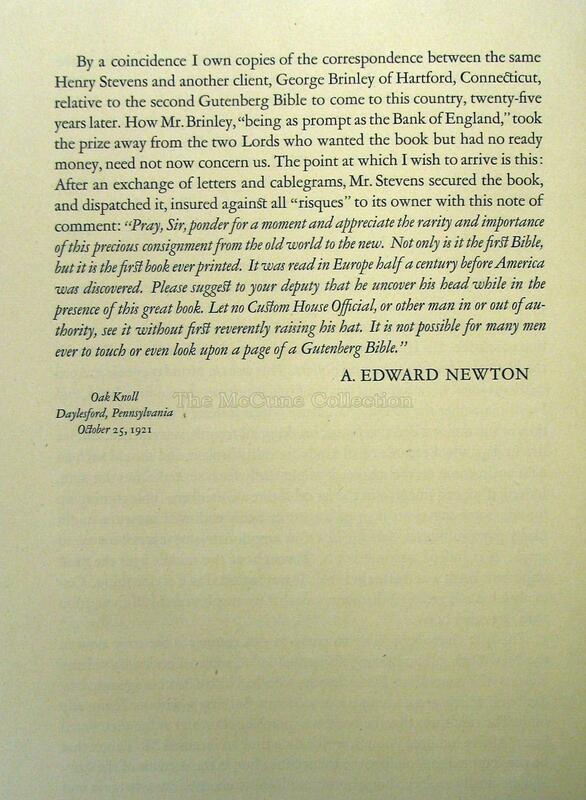 Wells bought a damage copy of the Gutenberg Bible, took it apart, and sold individual leaves and sections. 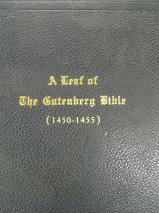 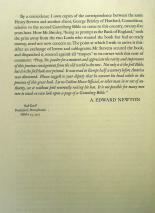 The leaves were placed in a leather portfolio case with a bibliographical essay written by A. Edward Newton. 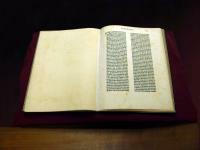 These originally sold for prices ranging between $150 and $500. 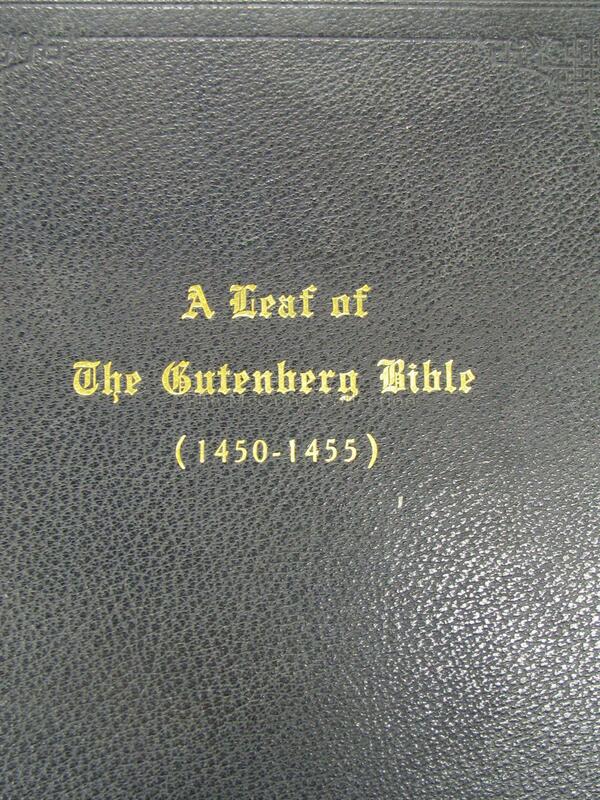 Click here to learn more about the Gutenberg Leaf.